There is nothing more important in golf than a golfer’s grip. It’s as simple as that. A golfer’s hands ARE the club face. 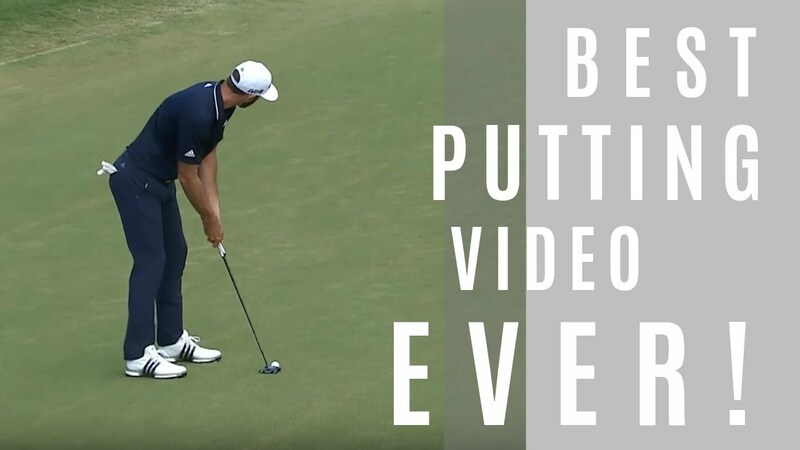 By that I mean that they are the only contact golfers have with the golf club, and they return the club face to a certain position depending on the type of swing a golfer has. Having a great swing with a bad grip is like having a great automobile with a bad engine. 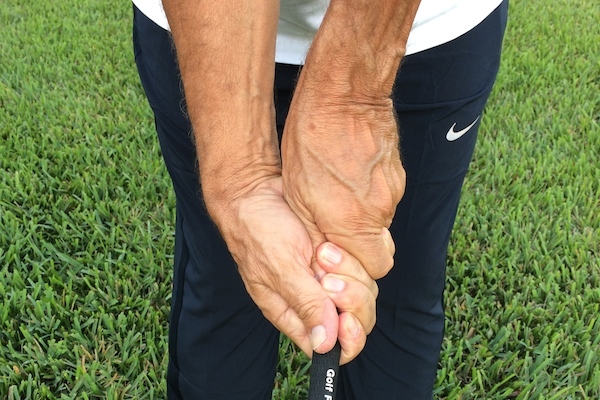 There has been a lot written about “how to” hold the golf club, but not nearly enough about how the grip actually works. But I’m here to help. It’s a given that many swing flaws come from a bad grip. In fact, I’d go so far as to say that MOST swing flaws stem from a bad grip. When you place your hands on the golf club, you must do in such a way that squares the face of the club at impact for you. Golf swings come in a variety of shapes and sizes, and there is no more important part of golf than matching your grip to the shape of your swing. 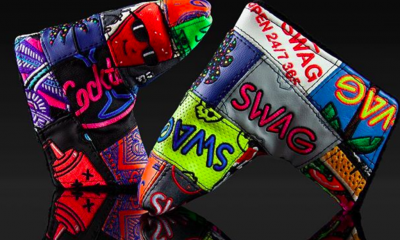 Before we go any further, let’s look at some golf grips and define grip terminology. Neutral grip: The hands are positioned pretty much down the middle of the grip. See Photo 1. 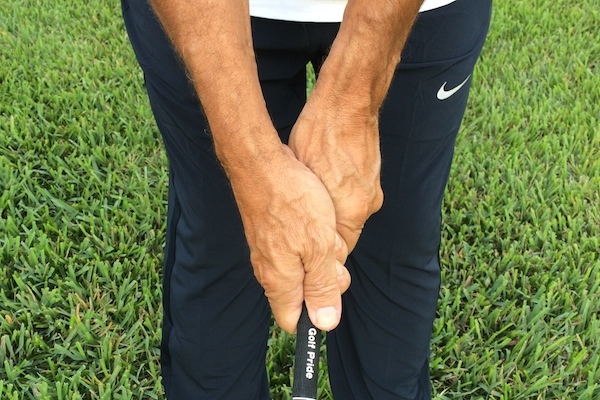 Strong grip: The hands are positioned to the right of center of the grip. See Photo 2. 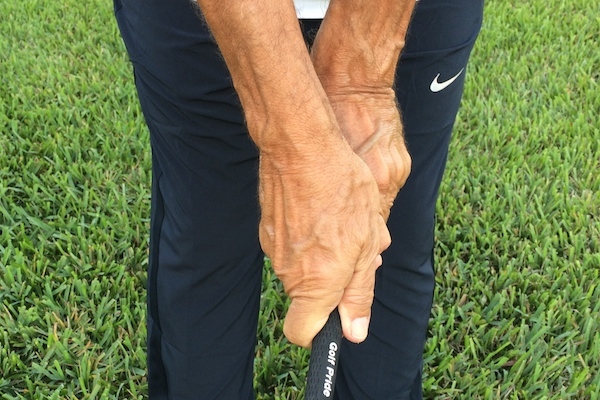 Weak Grip: The hands are positioned to the left of center of the grip. See Photo 3. A golfer could also have a grip with a strong left hand and a weak right hand (photo 4), or a weak left hand with a strong right hand (photo 5). But the bottom line is this: When golfers find the correct placement of each hand for their swings, they are headed for longer and straighter shots. 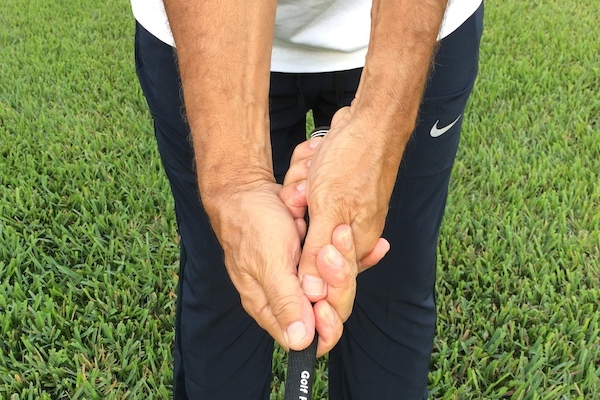 Now for the meat and potatoes of the grip: Let’s start with a strong grip: Place both hands very far to the right on the grip, where you can see the entire back of your left hand and the palm of your right (Photo 2). You will notice that your hands and forearms cannot be rotated to the right. That’s because you are already at maximum rotation in that direction (try it). But you have plenty of room to rotate your hands forward through the ball. It’s called “strong” because the rotation of the forearms (pronation left, supination right) is a source of power in the swing. Creates a draw/hook (if that is your desire) and can help in hitting from the inside. When the hands are turned far right, it is easier to hit from the inside as the right side is “back and under” the left. I often strengthen grips initially for this purpose. Now place both hands very far to the left on the grip so that you can see the back of the right hand and some palm of the left. The “V” should be pointed left of the left shoulder (Photo 3). You will notice that your hands and forearms cannot be rotated to the left. That’s because you are already at maximum rotation in that direction. But you have plenty of room to rotate your hands to the right (open). This is called “weak” because you lack the ability to add the rotational power source to your swing. 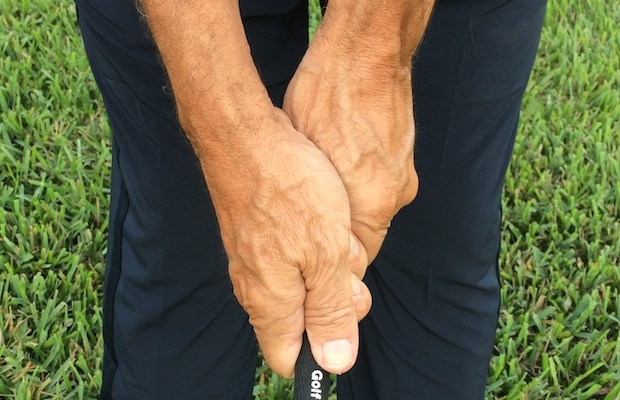 When the hands are turned left, the right side is more “out and over” and this can stop golfers from hitting too much from the inside and under. Note: The rotation I am referring to (supinating left, pronating right) is from the elbows down through the hands, not from the upper arm and shoulder. Now here’s the key: We all have a different rotational ability and speed to the movement of the forearms, and we all need a different amount of it depending on the position of the club face at the TOP of the backswing. 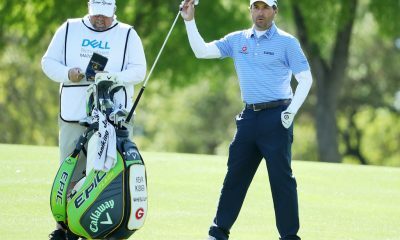 If you have the club face opened at the top of your swing, or you open it on the downswing, you will need an abundance of rotation coming through to square the face, and therefore a strong grip. 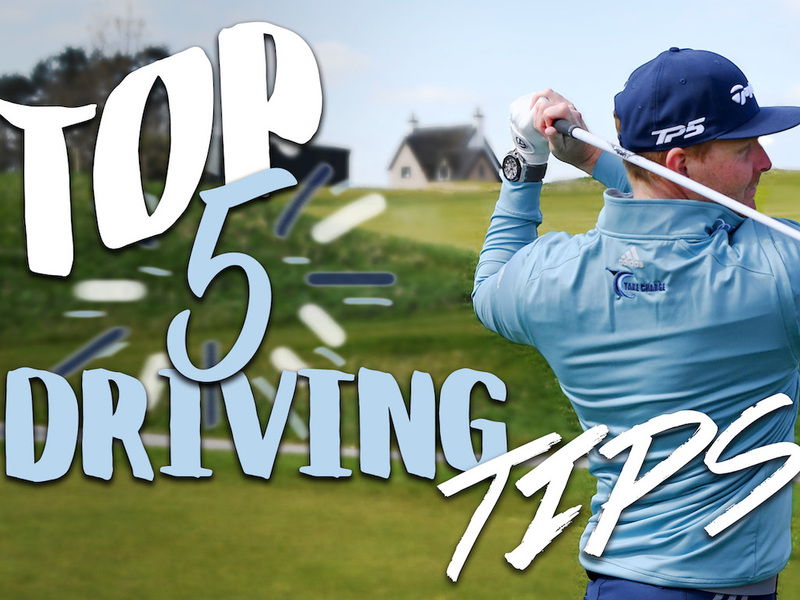 If you have a closed club face at the top of your swing or close it on the downswing, you won’t need much rotation to square the face coming through the ball, and therefore a weak grip is more compatible. 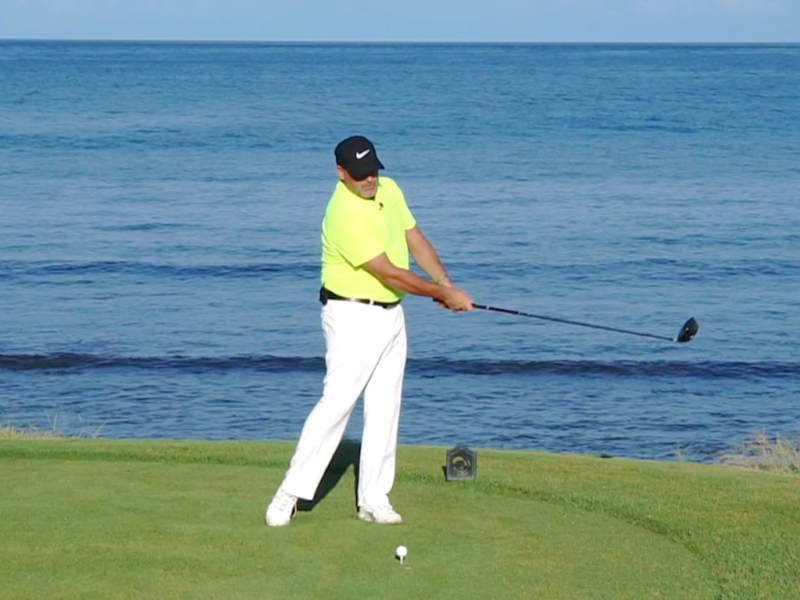 OK, so how does the club face get open or closed at the top of the swing or in the transition. When the center of mass of the club gets ABOVE your hand path, you need a stronger grip to square the face. 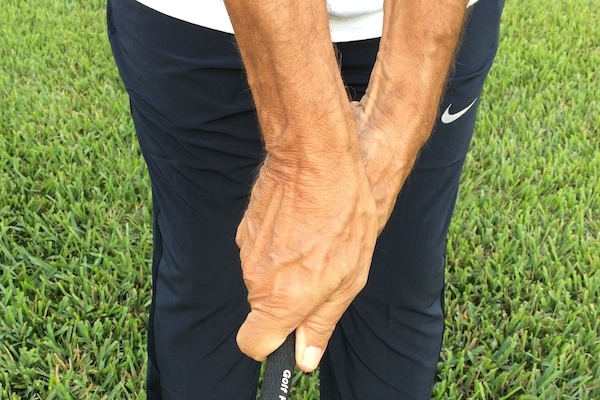 If the center of mass of the club gets UNDER your hand path, a neutral-to-weaker grip is needed to square the face. The proper grip is different for everyone (as all suggestions and tips are), but a little experimentation might not be a bad idea. 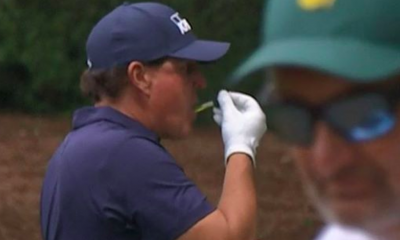 The less golfers have to work to square the face, the better they tend to play. And it’s always better to make a simple grip change than a whole swing change. 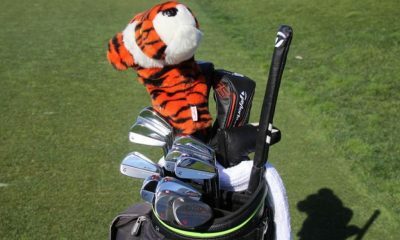 One final note: When you make a grip change, have a club in the house and grab it in the new way several times a day. Soon it will feel like it’s always been there! 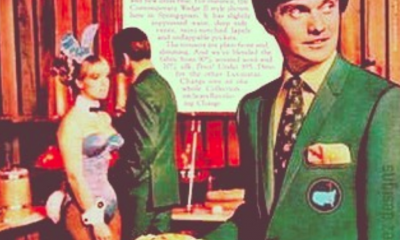 Very good article, I play my golf at Rochford Hundred GC, a links like James Braid course. 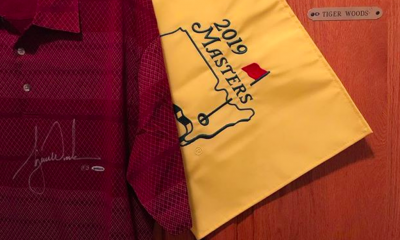 It is constantly windy and with an open club face, my inherent problem, fighting the wind with a naturally high ball flight has been difficult. I started to experiment with a strong left hand grip, mainly to keep the ball flight lower. What I am finding is, it has improved my setup, getting me square to the target. 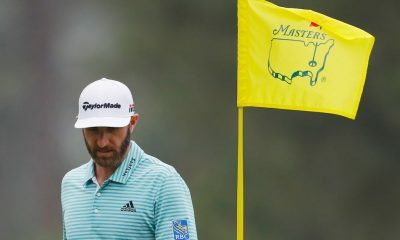 If I close my eyes and take what I feel is a balanced grip on the club, I noticed when I looked down at the club head the face was turned in by 30% or if you look at the clock face with square at 12 noon, my club face was angled at 11 o’clock. When I lifted the club up, and cocked my wrists up, the face was dead square! Putting the club down again the face closed, but when I aligned myself to square up the face my set up was perfect, with my head behind the ball, and right shoulder below left. Resultant strike was good contact and a divot passed the ball. Yippee! I will continue getting used to it. Good read. Most do not say that a weak right and neutral left hand works. But thank you as today I went back to my old setup and feel good again. Do NOT listen to most, swing your own swing. My baby fade is back and the left side is gone. Thanks. i use the strong left hand grip and the neutral right hand,works for me and is working for my swing. 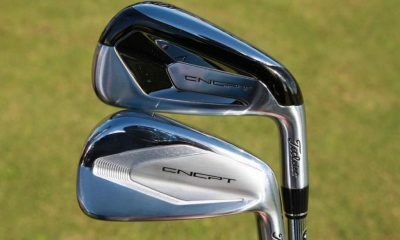 i had a slice and a draw on the long drives,but i shift my stance a little to the rear end and it also work wonders. thanx for all the advice, a golfer never stop learning and testing. I have just started to use a stronger grip because I have a wicked slice. I have been told by pros how to correct it by turning my hands over when I swing through. I try but it doesn’t work for me. 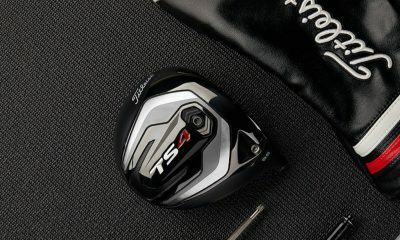 What do I say the next time I go to my pro and they try to get me to change my strong grip for a grip that looks neutral? Any suggestions! Good stuff, however I have noticed that many of the best faders of recent years play with very strong grips, which contradicts your observations. I play a very strong grip, and I either hit trap-pull draws, or low fades with lots of spin with my strong grip. David Duval, Fred Couples, Bruce Lietzke, all have strong grips if I’m not mistaken. Calcavecchia too, I think — especially with the left hand. Great article! I’m trying to understand why my miss w/ any club above a 7i tends to be a hook (to snap-hook!). I use a stronger grip now than I had in the past (remnents of me fighting a slice), so I’m wondering if all I need to do is weakin it a bit. Thing is, when I try to change my grip everything feels wrong and I find that my hand instinctivly move the club around so that it feels ‘right’… i.e. stronger grip. First off, is it supposed to feel really odd and second, do you have any drills/tips for making a change and not inadvertantly changing back to the old, more comfortable grip? *body type meaning a player with a long torso short arms. 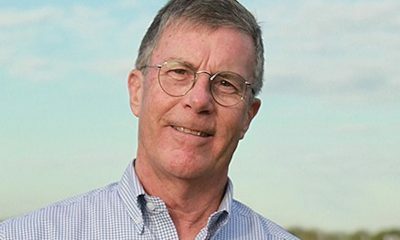 This article concerns grip. The principles I have discussed are universal. I am writing another article soon about body types and swing styles. Stay tuned. Thanks for this. Im of the opinion that the grip is the most important factor of a good golf game and there is not enough emphasis on the fact that we swing different, are built different and as such cant have the same grip. It astounds me sometimes the search to be Hogan-esk (that cant be a word) whereas its been documented he fought a hook. Now I understand why from your explanation. As he had a flatter swing, this related to closing, hence he needed to weaken his grip. Light bulb moment. Love your articles, keep it coming. The Netherlands! Seems pretty far from 83 degree South Florida! I always loved the song “The Dutchman”. Great info and well stated DC! 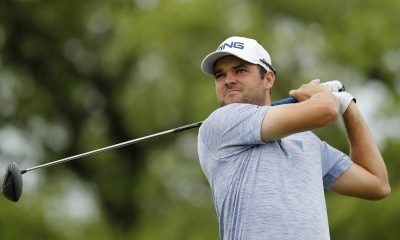 I am a lefty, I sprained my left wrist (driver head flew off, dumb used club…) So I have been playing with a neutral right hand and a strong left, but I have taken my left thumb off the grip and relaxed it to spare me some wrist pain. Hitting a wonderful controlled fade. I might just keep the grip once my wrist is better. Love your articles btw. I read everything you write very carefully. Keep it up! You got it AJ…That’s the point of the article; what works for you, works for YOU! My game never really took off until I let go of convention and went with a fully strong, thumb-down-the-side grip… and I’ll never go back. 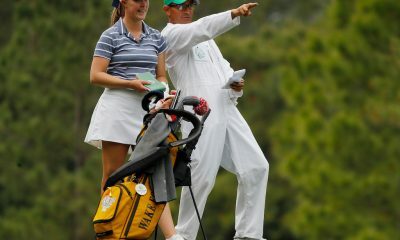 I even hit wedges that way now. I’m not suggesting everyone do it, but I love your advice on trying new grips in search of what works.